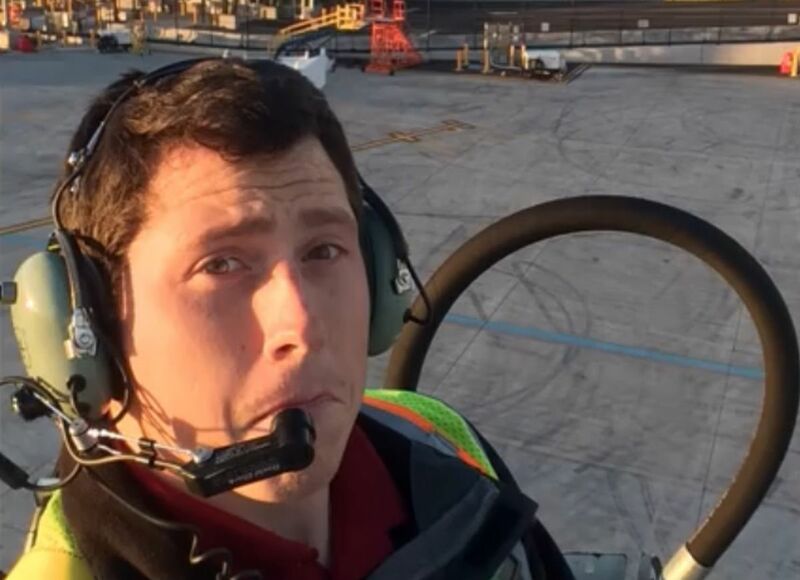 WASILLA — The man authorities say stole a Horizon Air plane from Seattle-Tacoma International Airport and and later crashed it was a gregarious, outgoing star athlete at Wasilla High School remembered as "a great kid" by those who knew him. "Absolutely the kind of kid you want on your team," said Wasilla High track and field coach Gary Howell. Richard "Beebo" Russell graduated from Wasilla High School in 2008 after a standout career as a running back, wrestler and thrower. During his senior year of high school, Russell placed fifth in the discus at the 2008 ASAA/Alaska State Track and Field Championships, was fourth at 215 pounds at the state wrestling tournament and ran for six touchdowns as a fullback on the school's football team. After graduating from Wasilla in 2008, he went on to play at least one season of football at Valley City State University in Valley City, North Dakota. Russell appears to have settled in the Pacific Northwest, married and eventually landed a job with Horizon Air, according to news reports and his and others' social media postings. He wrote on his blog that he met his wife in Coos Bay, Oregon; they operated a bakery together and eventually moved to Washington state south of Seattle. He wrote about using Horizon travel benefits to visit Alaska, and posted pictures from here and other destinations around the world. On Saturday, Russell's family released a letter to news media that said, in part, "It may seem difficult for those watching at home to believe, but Beebo was a warm, compassionate man. It is impossible to encompass who he was in a press release. He was a faithful husband, a loving son, and a good friend. …This is a complete shock to us." Wasilla wrestling coach Shawn Hayes said his reaction was "surprise" when he heard the news about his former wrestler. Hayes said Russell was "a good kid who worked hard" while a member of the Wasilla wrestling program. "He was always respectful, no signs of what happened, that's for sure," Hayes said. "Total shock," Howell said Saturday, hours after learning of Russell's death. "The kid I knew, he wouldn't do that." Howell said he first took notice of Russell long before the big, fast athlete went out for the track team. "He had that energy, that vibrance," Howell said Saturday. "He was that kid you high-five in the hallway even if you don't know him." Howell said he remembered Russell as a natural leader who wrote people's names and weight-lifting accomplishments on weight belts in the school's weight room as motivation. "Still to this day, you go into the Wasilla High gym, there's a weight belt that says Beebo," Howell said. Russell's sister, Mary, also attended Wasilla High, and Howell said the two were extremely close. "I can't even imagine what she's going through," he said. 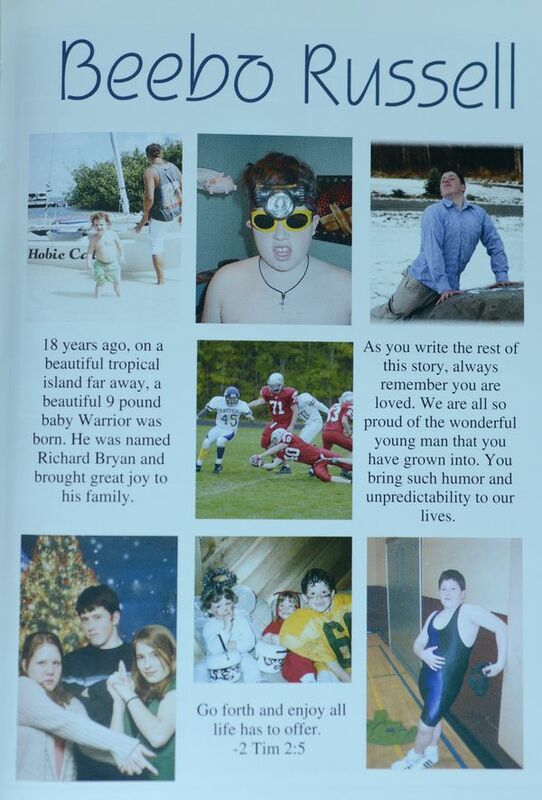 Howell said he hopes people remember the Russell he knew — a "funny, great kid" who always had a smile and a joke. "Everybody wanted to be around Beebo," he said. As for why Russell chose to steal a plane and end his own life, Howell was at a loss for words.